Comte A.O.C. 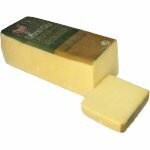 is an ancient French gourmet cheese, also known as Gruyere de Comte; it is made in the Massif of the Jura, a region composed of medium range mountains situated in Franche-Comte, which lies between the Vosges and the Haute-Savoie. 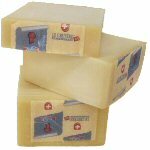 The Montbeliard cow is the only breed of cattle whose milk is authorized for making Comte. 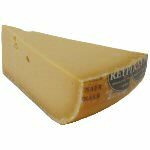 The cheese is hard, straw-colored, contains some medium-size holes and has a tendency to crack on cutting. 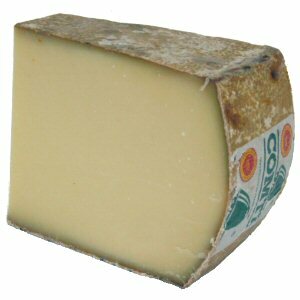 Comte has a floral aroma with nutty fudge flavors developing in the more mature cheese. The taste is full of nuts and toffee with a lovely long and salty finish. Older cheeses take on a strong, farmyard-like character. The cheese has a thin beige rind which thickens and hardens as the cheese matures. This cheese is 12 months old and a close cousin of the Beaufort. 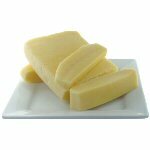 We cut and wrap this cheese in wedges of approximately 1 pound and 8 ounces. Ingredients: Raw cow's milk, animal rennet, cheese cultures.